Now even if I wasn't pregnant - I would have been completely and totally bewitched by the idea of a festival dedicated to pickles and various brine related treats. I have always loved pickles. Pickled green beans. Southern-style deep fried pickle chips. Dill pickle potato chips. Scratch and sniff pickle stickers*. This passion of mine for savory snacks brought me to Manhattan yesterday with some high expectations and a healthy/surreal appetite. 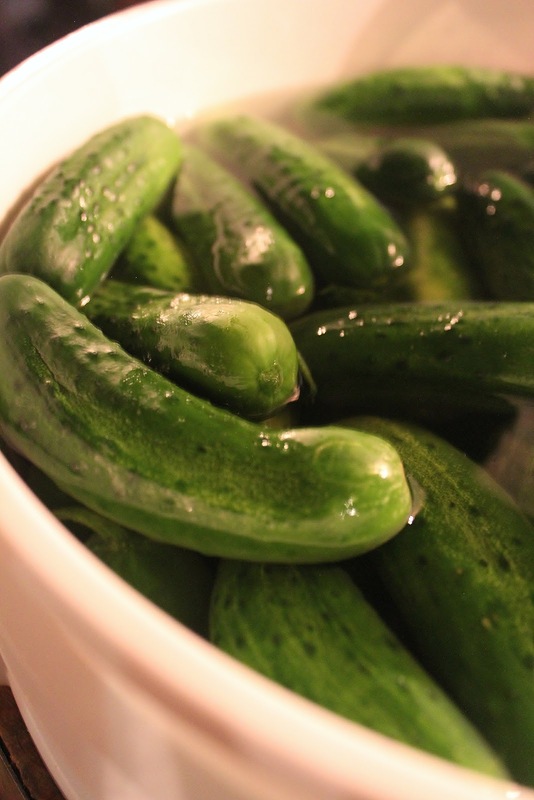 Now, New York City has been the home of some pretty spectacular pickles over the years.There are shops all over every borough with barrels of pickled cucumbers that could win schmancy culinary awards if those kind of awards went to working class delis. You know the kind I'm talking about. They're like the size of a guinea pig and are so good it's unthinkable to share. But those weren't really the kind of pickles we had here. 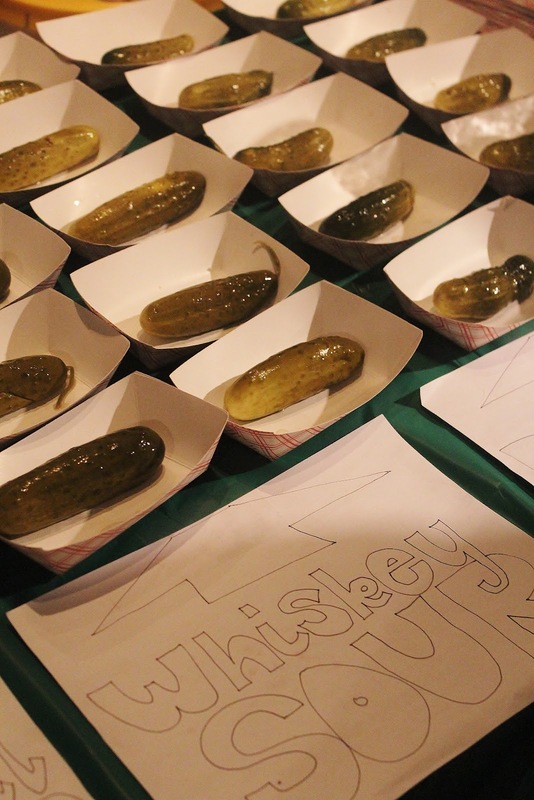 NYC's first pickle palooza was a winding maze of the finest artisan pickles and pickle themed treats you could find. There was pickle back shots at the bar** and even a booth featuring pickle pops! 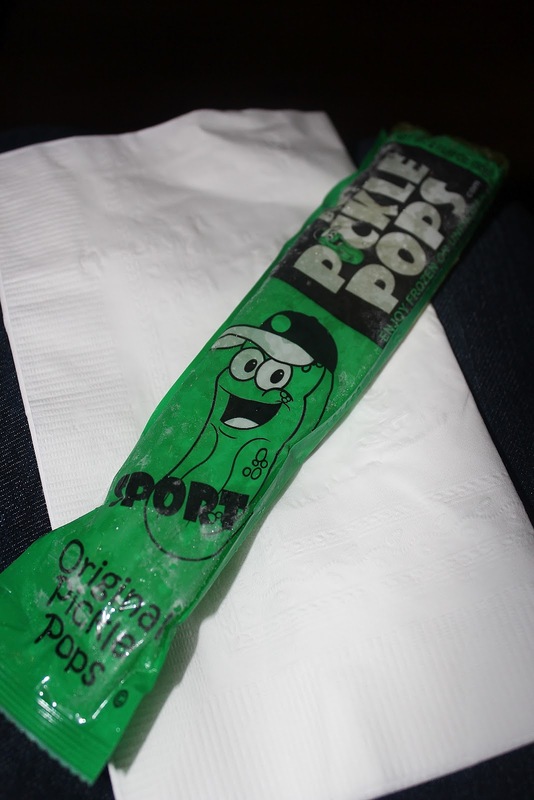 Yes, Popsicle types of things made with pickle juice. I guess I don't have to tell you that there was a lot of stereotypical hipster-y types there on dream dates sipping PBRs and sharing little paper trays of pickles. I actually found that part a little adorable. But again I wasn't there for the people watching. And there was a lot of people at least 1,000 throughout the day in a not very large area. There was pickle eating contest that I actually enjoyed more than I should have considering I wasn't an official contender. Who would have thought something like that would have made me a sports fan. It really only distracted me from my job. I had some serious pickle testing to do and I think I lived up to challenge. I ate a total of 8 full sized (in many cases larger than normal) pickles that day. Some of my favorites were at The Brooklyn Brine booth. They were crunchy and unique and had flavor that went beyond just sour. You can find them at William Sonoma or Whole Foods if you want to try them for yourself. I also feel in love with Horman's Best Pickles. I wish I could describe them better than just falling back on the lazy word - Amazing! They rocked my face off - in a good way. They were everything you want in a pickle. I would call them my soul pickle but that seems weird. 1. None of the other food at the event to compliment the pickles was vegan. There were hamburger sliders and Teriyaki Balls but I know I wasn't the only one disappointed by that everything had meat. 2. The lighting - while romantic for those young Turks in love - was terrible for photos. 3. It would have been great to have more pickled beans or sauerkraut. For those of you worried all my posts will be about things like babies and food festivals this month - please remain calm. Tonight Dan and I are having a big vegan German food feast to launch our 2nd Vegan Rock-toberfest in tomorrow's post and we have a bunch of new Betty Crocker Project recipes lined up! * These were my favorite as a kid. I guess I've always loved food. ** Although in my "condition" I didn't enjoy a pickle back shot. I can tell you that I do approve of this clever bar trend. Here's a photo of Dan and our buddy Jack (AKA expresident) doing them at a party not too long ago as proof. I love pickles. That is amazing. Eat some for me! Congratulations! I'm expecting my first little vegan in February; there seem to be a lot of pregnant vegan bloggers out there now. I would have loved to have attended a Pickle Palooza while pregnant! Congratulations! Sounds like life has been pretty busy lately! Excitedly awaiting the book! Congrats on your upcoming addition to the Shannon's... I love pickles, I drink the juice out of the jar when no one is looking!!!!! Congratulations! I love all the new vegans coming into the world, and I think that so many people becoming parents can only help our movement / community grow in so many ways. As my daughter's seventh birthday approaches, I can't help but reflect how so many cool resources now exist that didn't when I was expecting her -- two vegan pregnancy books, lots of vegan mama blogs, and vegan family cookbooks. 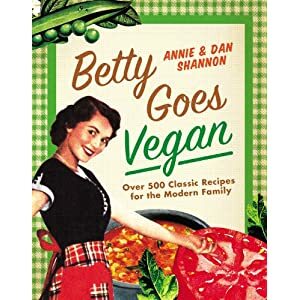 BUT, the one thing that continues to be lacking, and perhaps would be a great next venture for the Shannons is a CHILDREN'S VEGAN COOKBOOK! You know, the kind for kids that gives them step-by-step instructions? There are some veg ones out there, but they're heavy on the eggs and dairy. I'd love to see one with recipes for enchiladas, chia pudding pie, salads, and muffins (a few of my kiddo's favorite things to make). Waddya say?? Congratulations! Enjoy your pregnancy! There is nothing like being pregnant with your first...it just gets better and better! My three vegan kiddos love to hear about all the new vegan babies coming into the world.